Browsing articles tagged with " Heel Pain"
Jennifer is a 55 year-old, moderately obese woman. She runs every morning for about 4 to 5 miles, who complains of right heel and plantar foot pain, difficulty walking, especially in the morning after waking up from sleep for 2 years. She went to the podiatrist, who gave her an x-ray, which showed a mild heel spur at her heel. She was given orthotics for the right foot, but she still feels pain, therefore, she comes to me for evaluation and treatment. By physical examination, there is tender point at right heel and arch. 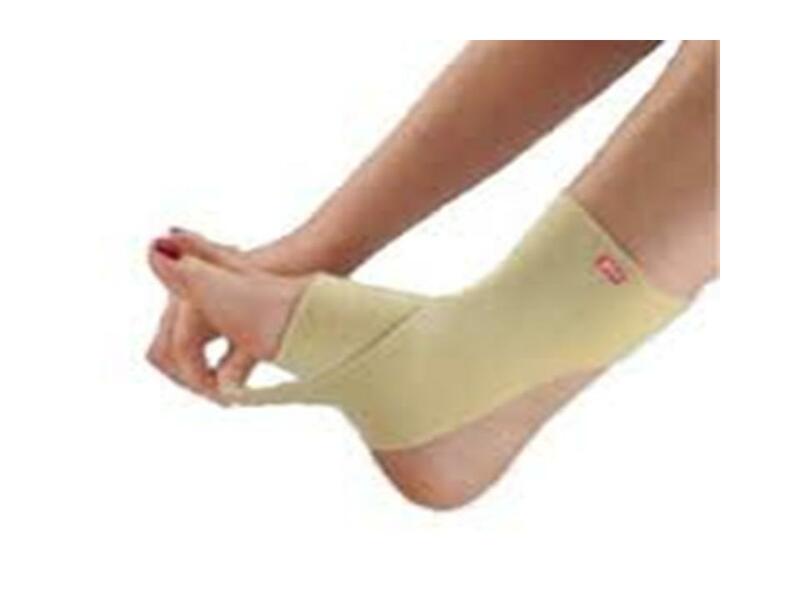 There is no ankle pain, no numbness nor tingling sensation at right leg. Based on my examination and clinical information, the patient most likely has right plantar fasciitis with possible heel spur. Plantar Fasciitis: Plantar fasciitis is inflammation of the thick tissue on the bottom of the foot, i.e. 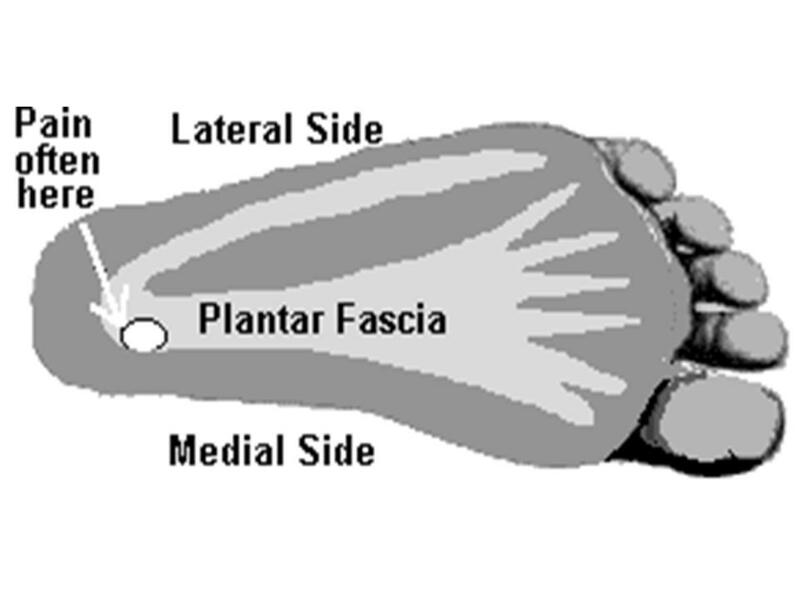 the plantar fascia. 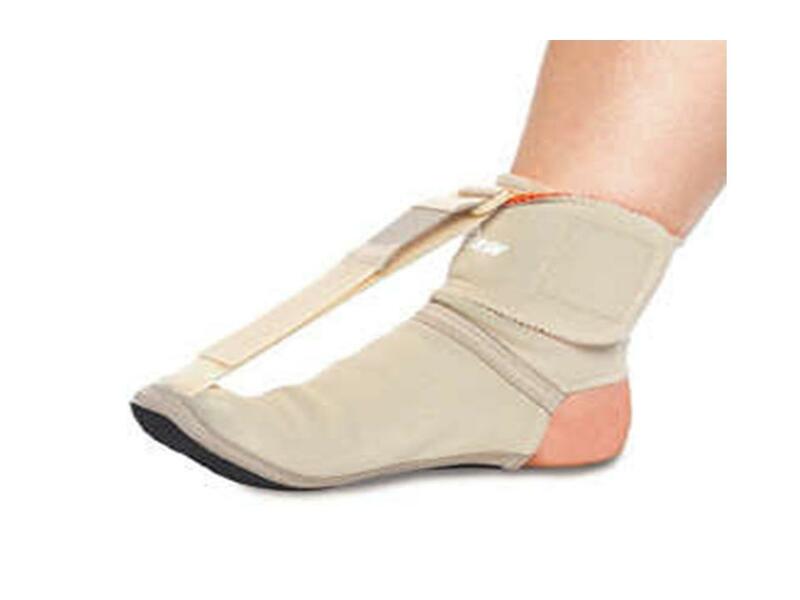 It connects the heel bone to the toes and covers and supports the arch of the foot. The pain is located at the medial heel, however, if the pain is severe, it will spread out to entire foot arch. 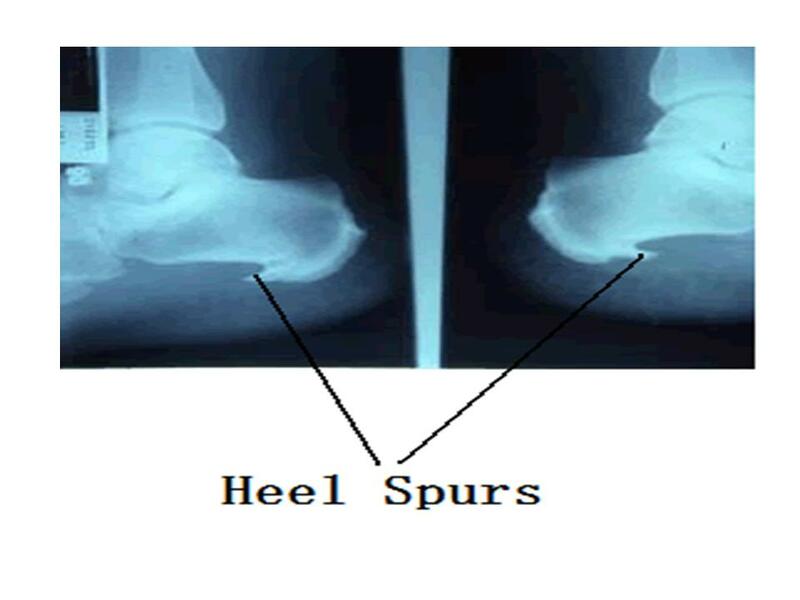 Heel Spur: A heel spur is a hook of bone that can form on the heel bone (calcaneus). A calcaneal spur (or heel spur) is a radiological (X-ray) finding, and when it is located on the inferior aspect of the calcaneus, is often associated with plantar fasciitis. However, sometimes, people may have heel spur without any pain, some people may have severe heel pain and the pain may mixed with plantar fasciitis to cause the entire plantar foot pain. An inferior calcaneal spur consists of a calcification of bone, which lies superior to the plantar fascia at the insertion of the plantar fascia, most common in the medial side heel of the foot. The most important key part of plantar fasciitis is overstretched or overused of the thick band of tissue on the bottom. 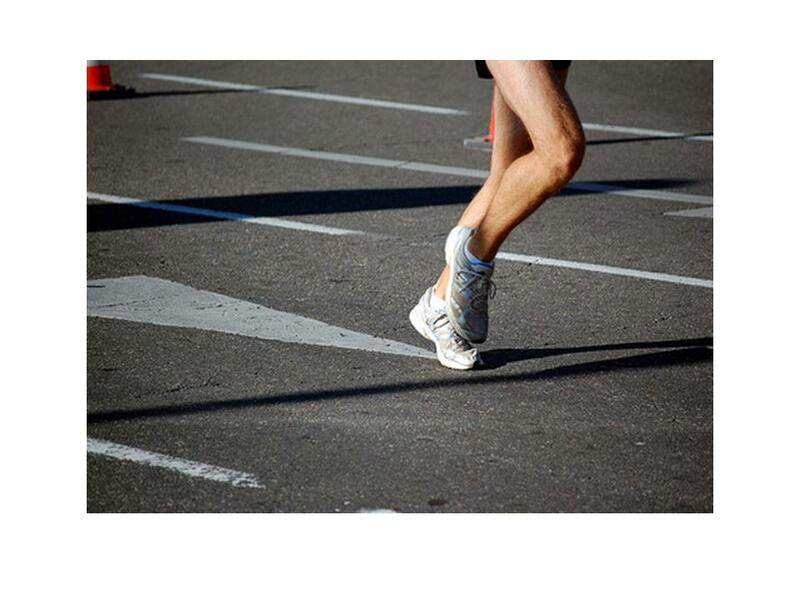 This can be painful and make walking or running more difficult. High arches and/or flat feet. Tight Achilles tendon, which is the tendon connecting the heel to the calf muscles. Hard surface of the shoes, especially tight and hard shoes without any arch support or Cushing function. Men ages 40 to 70. The pain in the bottom of the foot usually is sudden onset with most often sharp or burning sensation, sometimes you may feel dull pain. The pain usually feels better after you warm up with first steps or take hot shower. The pain may develop slowly over time, or suddenly after intense activity. Tenderness on the bottom of your foot, usually at the medial heel and entire arch. 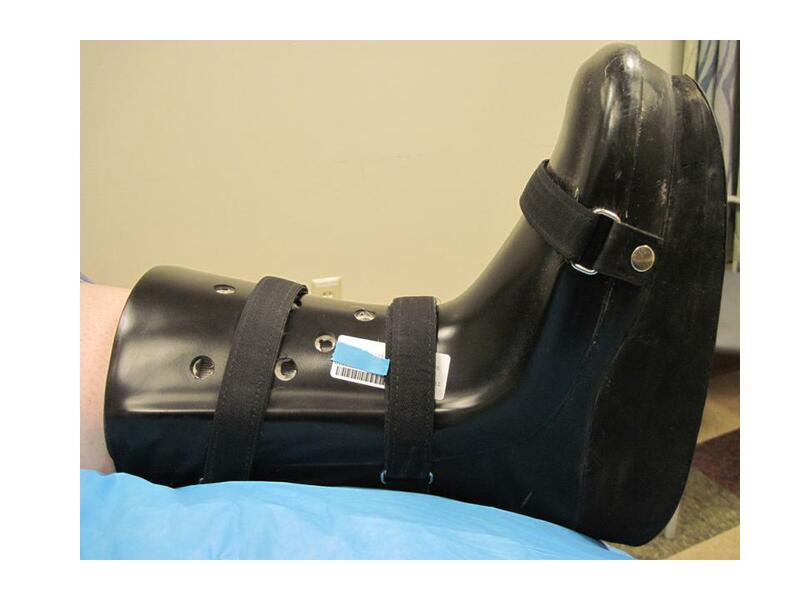 X-rays may be taken to rule out other problems, but having a heel spur is not significant. Anti-inflammatory medications: Acetaminophen (Tylenol), or ibuprofen (Advil, Motrin) to reduce pain and inflammation. Rest- At least rest for one week or more, no running, no long walking. Ice: apply ice to your bottom of the feet for at least 15 min, 2 to 3 x per day. Fascia-specific stretching exercise by gently pulling back the toes for 10 sets of 10 seconds. Repeat 3 times a day. Another exercise targeted at the plantar fasciia and strengthening the small muscles of the foot is marble pick-ups. Place a handful of marbles on the floor and pick them up using the toes and place in container. Repeat for a total of 3-5 minutes. If marbles are not available, the same motion can be performed using a towel. 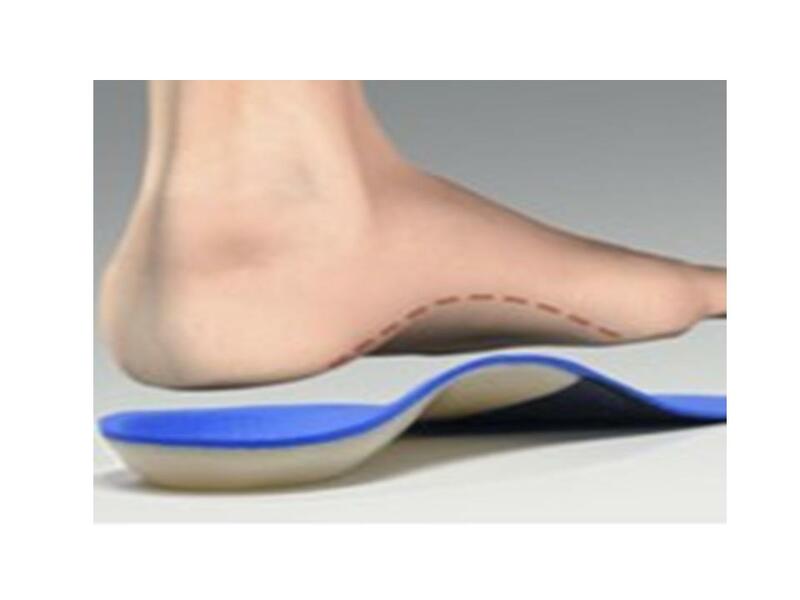 The use of anti-inflammatory properties of ultrasound targeted to the bottom of the heel is beneficial. A typical treatment would be around 8 minutes and can be performed by your physical therapist. Steroid injection: Steroid injection sometimes may make a significant improvement. However, you should use is cautiously, because the steroid may cause necrosis of the plantar foot. Jennifer was advised to stop running immediately. In the meantime, she was given heel pad with two layers of shoe insoles, and changed to a bigger size of snickers. She was given above acupuncture treatment and physical therapy stretch exercise 3x per week for 4 weeks. She also stretch her foot and perform ice massage 3 to 4 x per day. Her plantar faciitis was completely healed. She run again after 2 months. Early treatment, the earlier, the better. 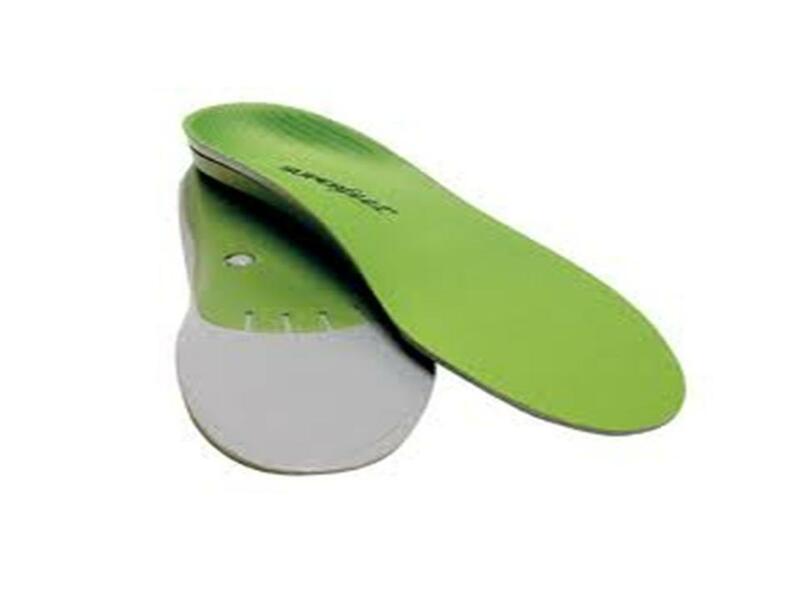 Always use two layers of shoe insoles to cushion your inflamed foot. Arshi 1 and Arshi 2 are most important points to reduce plantar pain. 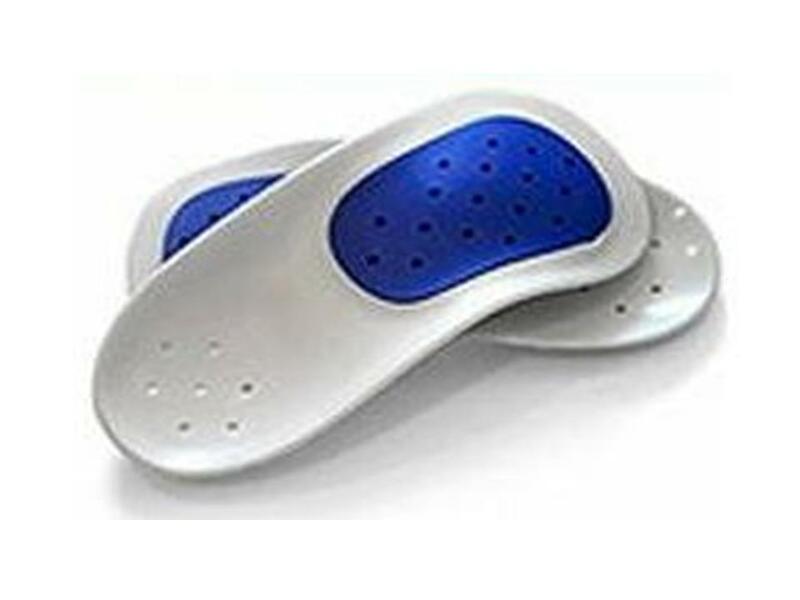 Use electrical stimulation to desensitize the plantar foot pain. 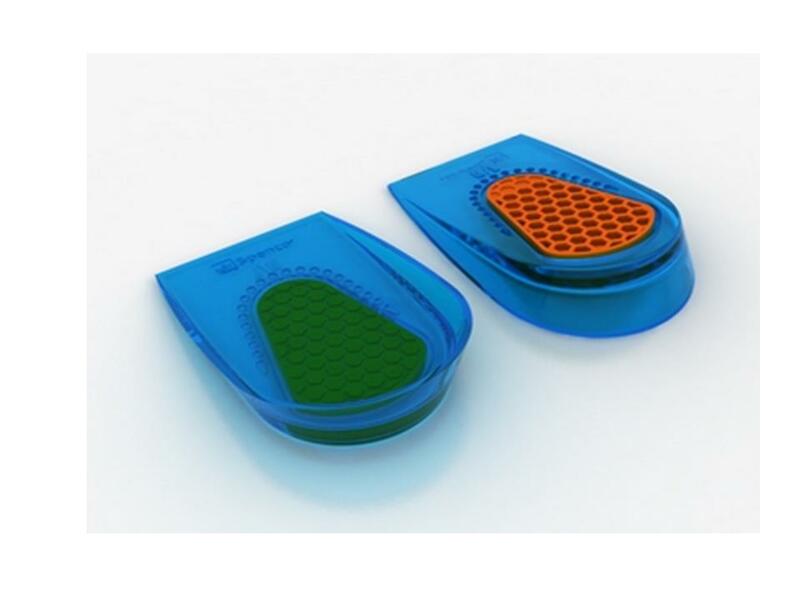 Encourage your patients to use shoe insoles, two layers are better than one layer. Try not to use steroid injection.